It was eight generations ago, when Thames Distillers from London have first started producing Gin. Current Master Distiller and owner Charles Maxwell, doesn’t let the tradition fade - the flavours of their spirits are dedicated to the Gin days gone by. 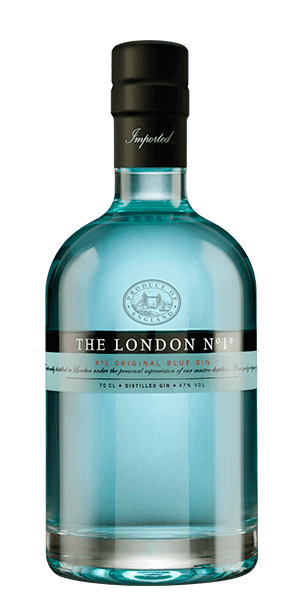 The London No.1 Gin is a treat for both the eyes and palate. You (and all your guests) will notice the colour first. It’s achieved partially through the maceration of the Gardenia flower, Queen Victoria’s favourite. Then comes the taste: The recipe includes 12 botanicals, infused in a pure spirit that was distilled from the finest grain Suffolk and Norfolk have to offer. Like the Gins gone before, The London No. 1 Gin has plenty of juniper and light floral notes combined in a well-balanced spirit to satisfy even the most demanding of Gin fans. What does The London No. 1 Original Blue Gin taste like? The Flavor Spiral™ shows the most common flavors that you'll taste in The London No. 1 Original Blue Gin and gives you a chance to have a taste of it before actually tasting it.